All items are currently being held in two (2) storage containers, ready to be moved to their new home. A move overseas has forced the sale of these items and the pictures represent only a small amount of what is inside the containers. *Please note* - items will not be sold as separate pieces. Simply respond to the ad for a complete and detailed listing of all the main items. The pictures represent only a small number of the furniture items included in this sale. Many brand new and assembled IKEA furniture pieces, stylish antique items, as well as too many new, smaller items to list. The furnishings will completely outfit 2-3 bedrooms, a main living room, kitchen, as well as some other smaller indoor/outdoor spaces. Accepting bids for a limited time to move these containers to their new home. Please email for complete details and more pictures. Price: —— Furniture, Beds, House Hold Items, Clothes, Toys and soooo much more!! 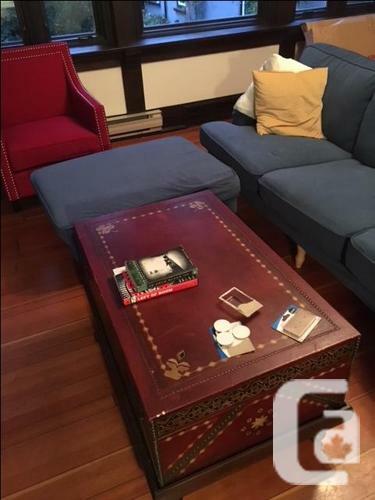 Price: $200 DOWNSIZING - HIGH QUALITY FURNITURE FOR SALE!!! !